Symbrium supplies all sorts of dimensional gauging solutions that provide real-time process and part quality data. Our Factory Systems Group works with several metrology partners to provide electronic measurement tools compatible with our FS Works software enabling SPC and other advanced analysis using wired and wireless technology. Probes, Air Gauges, Precision Weigh Scales, sensors of all types can be integrated. Complementary software solutions allow monitoring of both part quality and manufacturing processes either locally at the inspection cell or remotely from any global location. We also provide calibration masters, automated electronic work instruction displays and many other ancillary items. Our Powertrain Technology Group designs and builds special gauging stations for production audits, SPC and machine set up. From focused gauges that are designed and tooled to inspect a single part or small family of parts to highly flexible gauging systems that are automatically configured based on part ID information that can inspect hundreds of different parts produced by a manufacturing plant. Typically an operator or set-up person brings a selection of parts to an inspection cell, configures the gauge by selecting from a pull down menu or scanning a bar code, and then proceeds to load parts into the machine and cycle the system after auto configuration and tooling changes have been made and verified. 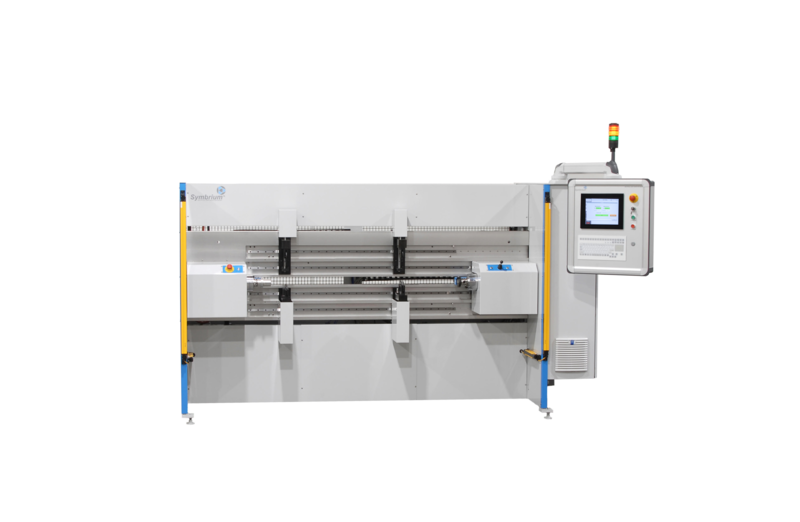 PTG also provides fully automated in-line gauging cells that provide 100% part inspection to support high volume production. These cells are integrated into a production line and communicate with the conveyance system and other manufacturing stations. Data is displayed locally and relayed to enterprise data management and ANDON systems. Advanced software provides automated process correction data to up-stream manufacturing cells to account for tool wear or alerts for tool breakage or other necessary adjustments . Symbrium Gauging Solutions are second to none. Proven contact and non-contact measurement technologies are employed based on physical part geometry, dimensional characteristics, and accuracy. Servo-based motion control, encoder based data acquisition and advanced signal processing are employed to achieve high repeatability process control data, low cycle time and provide process diagnostic information that is not possible using traditional methods. The end result is easy to use, easy to maintain, rugged plant floor equipment that provides extremely accurate part and process information with incredible reliability.